This prior introduction leads into today’s journal entries, because I am using my talents & letting God sweat the details and outcome of my pages unfurled. Honestly, I want to edit my ancient ramblings so that I don’t seem crazy, but my heavenly leading is to ‘go forth.’ To my friends, family and acquaintances along the way, I love and pray for you often through my prayer writings. I pray that you receive these and future entries with warmth and love in return. The 18th has come and gone…Your will, not mine…Your will, not mine. Today the kids start school. Please be with them. Make them strong, keep them safe. Please make their time here brief as possible. Lord, I’d also like to pray for several people at church: Ken & Angie-please bless them with a beautiful child & help Angie to continue to heal & please bless Ken’s consulting business. Please bless Mary & Scott with the upcoming adoption of their baby; please be with the birth mother to make a strong, wise decision. Please bless all the marriages at church. Please be with the Garners as they struggle with their separation. Make their kids strong & looking to You. Bless Ben & Dee, having them look to You & each other as their business struggles Please help Ron & his wife as Ron continues to look for work, as with us, please bring the right people to them & us that will bring the right job that will ultimately serve You. Please be with Greg today with his interview with Oracle & his phone call with Perot. Thank You now for Your incredible healing and answers. Please prepare hearts & homes for Anthony & Michael, the lost boys of Sudan, that they might find work & homes after their long struggles. Thank You for keeping me from such evil. God’s glory on an average day. The cross–forver the central theme. You spoke to me in a dream at 5:33 this morning. In the dream I saw a young guy who said, “Watch this” as if he were going to do something clever. Then I saw a newspaper headline that read, “Apologies from the city of Habakkuk” and I bugged my eyes & said “Habakkuk? !” Then, as I slept, my brain was filled with flashing light and You said, “This is for you & only you.” I lay there waiting for more then got up. I re-read Habakkuk 2. But where I opened the Bible was at Jeremiah 33 where You speak of Peace & Prosperity for the cities of Isreal & Judah. Several times You spoke directly to Jeremiah. Help me, Jehovah, to understand all of this. I pray for Greg, Lord, at what You will tell him. Thank You for yesterday. Greg and I had such a great peace all day. Today, I am beginning a Bible study, “Listening to God” and am praying for spiritual eyes & ears so that I may see & hear Your will. I pray for new insights into Your Word. And I pray for courage to accept what You will have me become, say & do. As I re-read Jeremiah 33:3, “Ask me & I will tell you some remarkable secrets about what is going to happen here,” I see this for the first time. I skimmed over this yesterday, but now, I pray those exact words to You, if you want to tell me. I see another reference about rebuilding cities in Isaiah 59: 9-12. Tell me Lord, what are these connections about rebuilding cities? I used to think that going through that process every time meant that my faith was not as strong as I thought, but now I know that my ‘child-like faith’ needs repetition and reminders of how much He loves me & my family. Thank You, Jesus, for saving us all. 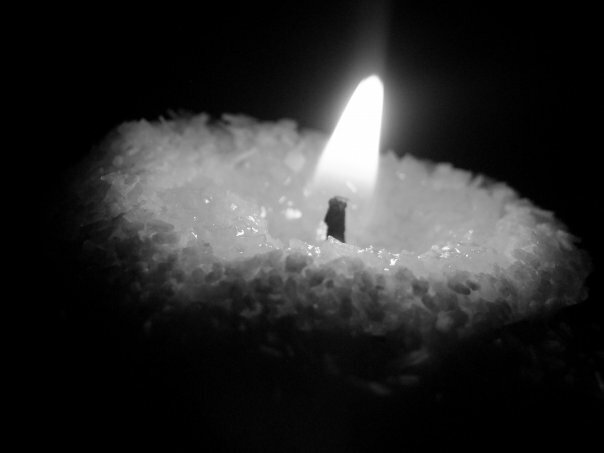 Now, I pray for those who are not saved by Your ‘Good News:’ Mom, Mom, Mom. Lord, please never give up knocking on her heart, pushing Satan away & dispelling all of her secular arguments, letting go of inhibitions, hypocracy & embarrassment & accepting Your love & comfort & gifts. Before kids it was us. 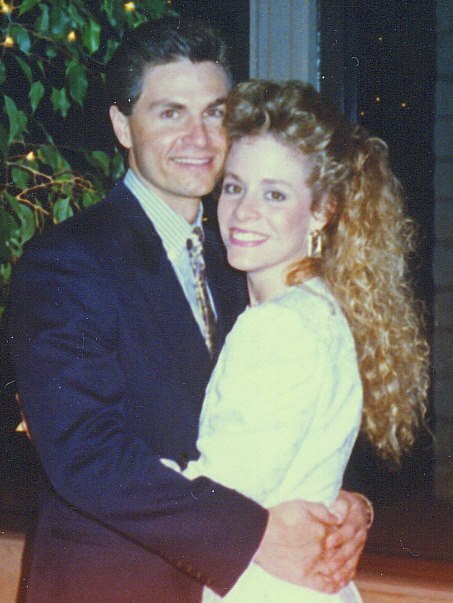 We were married in ’88 as my uncle Dalton sang “The Lord’s Prayer” as only he could do with his deep, rich, resonating voice and my cousin Sharla lovingly sang Amy Grant’s “Thy Word.” These songs set us on a path of living out the lyrics~25 years later we still hold the lamp unto our feet and the light unto His path. These journalings illustrate the struggle to stay there. This is our little family before we were, as we like to call it, ‘middle class missionaries.’ The girls, Lena & Liza-14 months apart, were born in Connecticut and after we moved to Texas for Greg’s job with EDS, Cody was born. We began attending church regularly when Cody was still in a baby carrier. We knew we needed to go to church for the kids, but God got ahold of Greg and I like a shot and we were quickly knee-deep in love with our Lord and His people. 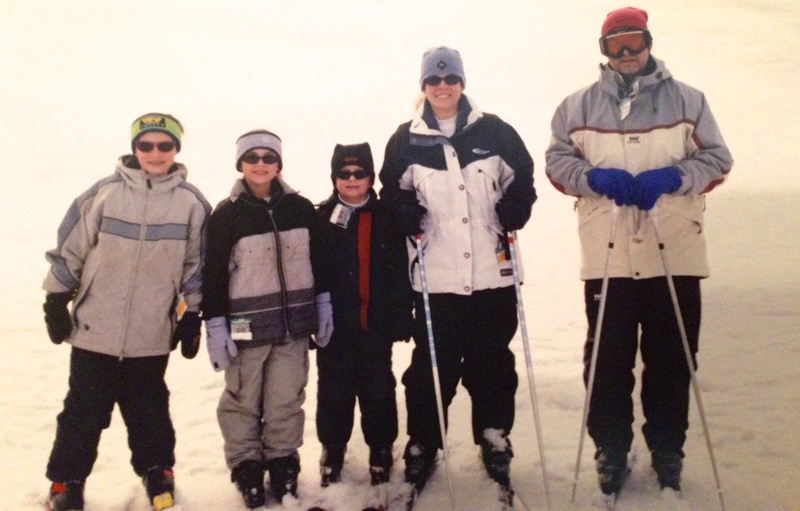 Greg is the avid skier in this bunch; he’s a yankee boy, so he should be, right? We ‘born and bred’ Texans take a little longer to get used to slats underfoot, therefore, the rest of us just have fun on the greens. It wasn’t long after this ski trip that EDS, despite Greg increasing the organization’s sales by 200%, laid him off (new boss wanted all his old cronies; so out with the old and in with the new–common story). We had half a year of school left and turned down other EDS offers to move to Japan or Tennessee and sat on our bed praying and committed our lives and this unknown journey completely to God. We knew there would be no half-ways to go about it. 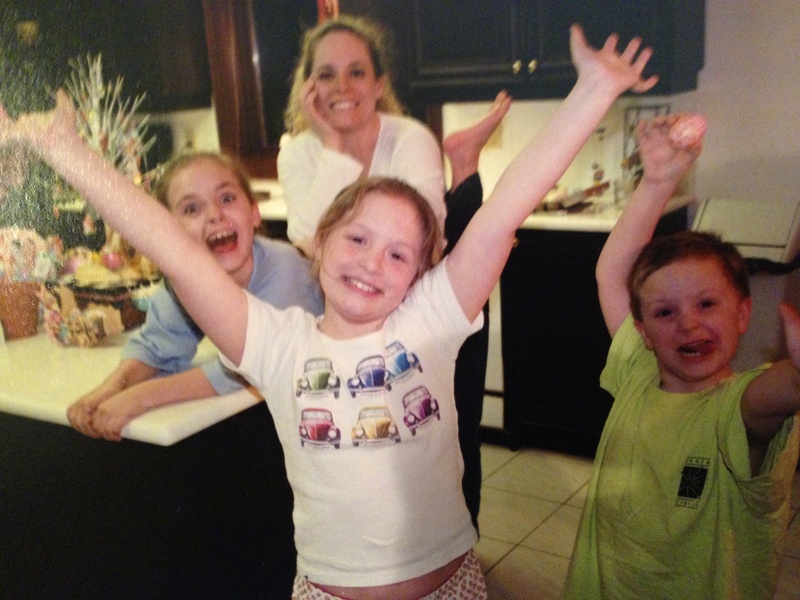 God allowed the kids to complete their school year in Canada and we moved in July to….we didn’t know where. 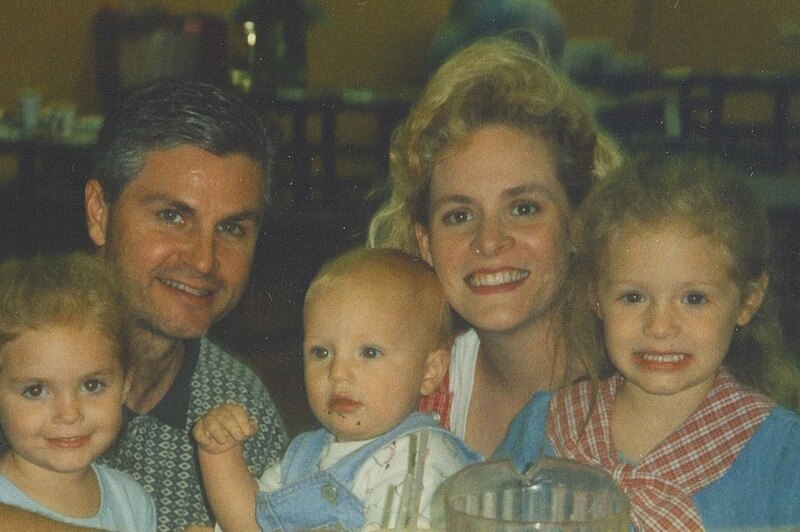 My family is from Austin and we lived in Frisco previously near our church we loved so much. We packed and prayed without knowing our destination. I told the movers that I would let them know where to stop the truck. As of these entries, we are living in Frisco in a month-to-month apartment with a few job prospects. Kids are attending a different school than they were at when we lived here before; now in 2nd, 4th & 6th grades. You should know that my husband is a punster and keeps me laughing no matter what’s going on. And I always say that my son was put on this earth to make me laugh because he can out-do his dad and the original punster, Pap, Greg’s father, with side-splitting results. I too can sling wit with the best of them and my girls can sure come up with some zingers. All this to say, although the journal has much longing and searching and occasional gnashing of teeth, we lived, loved and laughed through it all. I yearn to be so close to You. Lord; teach me how to listen to You. Teach me to use this journal to speak intimately with You without constantly thinking about how someone might read it one day. Teach me to listen to You, to others. You have taught me so much so far. Thank You for bringing me this close. I’m reading a part of The Secret of the Vine today and a woman in there says about You, “We keep each other constant company all day.” Thank You, Lord, for Your Holy Spirit around me all day that I can say a little something anytime, anywhere. From Secrets of the Vine, “Nothing pleases God more than when we ask for what He wants to give. When we spend time with Him and allow His priorities, passions and purposes to motivate us, we will ask for the things that are closest to His heart.” Lord, I pray to You that I will continue to keep Your plans for me first, constantly checking that I am following Your guidance and plan. Lord, I need your comfort and Holy Spirit today. Through scripture and a wonderful email from Nan about a great prayer, I feel You speaking to my heart to be more loving like You, more hospitable and neighborly. I pray that You help me with names and to have a more loving heart for others. Thank You for Your unending love for me. 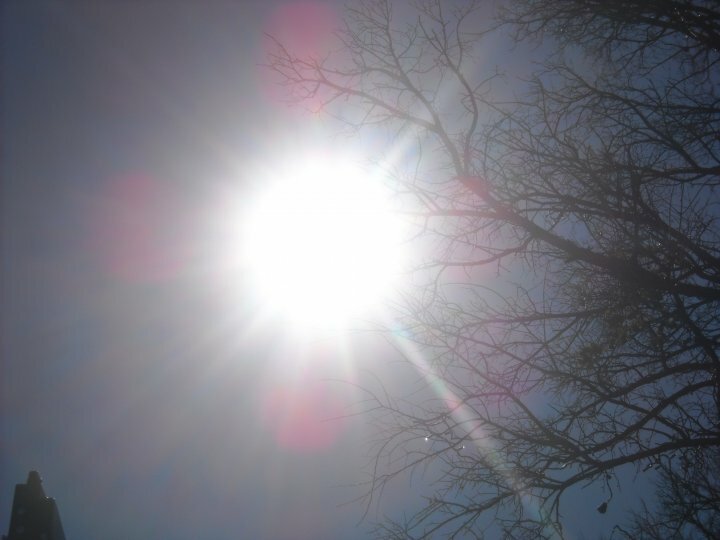 God, the Father, God, the Holy Spirit, God, the Son, I need you today. This day will not start and cannot take a step without You. Thank You for the encouraging message by the CEO. I asked yesterday for just that and You have been there every day. I read and skimmed the book of Job yesterday and You told him how powerful You are. Lord, I have the mind of a simpleton. Repetition is always necessary for me. Please forgive my child-like thoughts when I frequently go through an ongoing, awe-struck process. I continue to first, act as if it is the first time I’ve heard of You dying on the cross, each time I hear or read about it. Then, I study Your amazing story all over again. I always question the story and can’t believe something so long ago could have happened. And, I wonder if I had been there, or if it were to happen today, would I believe. Then, I bow my head and say, “Of course; He did this for me” and my child-like faith once again brings me to You. Thank You for not making me Paul. I wonder if I could sustain and survive in prison. Or Job, please do not test me and my family. And yet, I want so much to be so close to You. To walk daily with my Friend and Counselor. Oh, Lord, walk with me today. Give me what You will, because only You know what I need. Jesus, keep me from temptation. The prayer of Jabez includes, “Keep me from .” Therefore, here are the four temptations that I pray you keep me from day by day, moment by moment: 1) tempted to complain, 2) tempted to have negative thoughts, 3) tempted to get angry and lash out, and 4) tempted to yell or lash out at my kids. You have helped me so much with the last two over the past three years, but I still need Your hand in daily temptations. It is obvious after Greg’s phone call with Perot yesterday morning that our miracle will not be answered, at least not for now. Perot will have meetings mid-Sept and then, I’m sure, it will be a couple more months for hires. Lord, why do our children have to go through changing schools again? What are we teaching them? Why put them through this again and again? It breaks my heart! And yet, they are still upbeat. Oh, Lord, please make their time at the schools here brief! Answer our prayers and transfer the kids quick and lessen their pain! Please, settle this family! Haven’t we learned what You want during this journey?! Can’t we settle and now get down to the business of serving You? I know we’re serving now in some way and I know that we’ll never stop learning, but to serve and learn from this questionable state is long, frustrating and difficult! And yet, it’s an honor to be put through this journey with the sole purpose to be closer with You. Teach me what You will. Use my talents that You blessed me with as You will. Advance Your Kingdom through me. I give all I have to You, Lord. My daily commitment to You. Lord, this morning you led me to Genesis 32:24-32. Jacob wrestled with the angel of God, who broke him and then blessed him. I see. It is first necessary to break me so that I can see Your face before You bless me. Break me, Lord! Let’s endure the pain! I want to see, I want to hear! I want Your blessings! Encouragement, blessings…ANSWERS! We don’t understand why we were given everything in Canada—Greg’s leadership position, kids in a great Christian school, my numerous dance teaching opportunities and a big house — and then it was quickly taken away! Eighteen months from start to finish! Did we not treat it right? Did I complain even through that? Did we not share enough? Or was it there briefly to have us realize how much we want that all now, that we’ll work for it! But, we did work for everything up there?! Lord, help us to understand this! Kids start school Monday where we don’t want them, we’re in this apartment, Greg’s leads are good, sour, back when this started in December we started living day-to-day having no calendar to fill. Yes, we’ve enjoyed many things through all this—our time together, learning to live day-by-day, having opportunities to do other things and most of all reaching to be closer to You! Friend! The Great I Am! I am weak! I’m throwing my head back and yelling HELP! The End! Let’s Go! I need You. Be with me. I know no more to say. 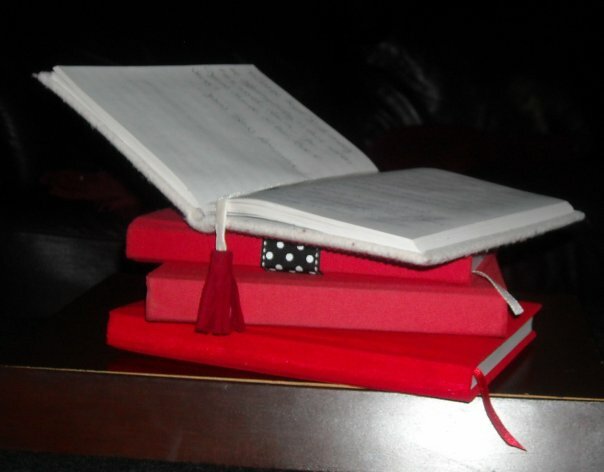 Since 1983 I have kept a red journal–well, actually the last four are red, a theme I continued after my oldest sister gave me my first red journal as a going away gift when my family & I moved to Canada. The first journal is blue, given to me by my Rangerette Big Sis in 1983 and the second is a fabric-covered book–a popular crafty item of the late 80’s. 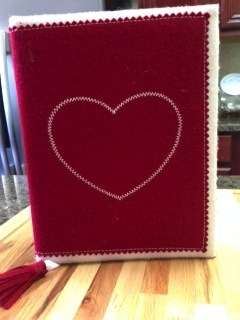 The Red Journals begin at a time when God and I got serious. Prior to my first entry, I had begun my own version of the prayer of Jabez. Unbeknownst to me, my husband, Greg, was actually praying the Jabez prayer at the same time. Well, God showed up and expanded our territory and moved us from Texas to Canada and then back to Texas 18 months later into a month-to-month apartment with three grade schoolers and no job. And that’s where the first red journal begins. I’ll tell you more about myself as I go along with each entry, but you should know that I’m a fairly private person. Opening these pages and reliving them as I type seems necessary now that I am empty-nesting. I won’t be holding anything back–no editing from my early morning scribbling while curled up on our red club chair, with the requisite coffee. I’m ‘putting it out there’ because of His leading and I hope it resonates. Intro page~ I have learned so much about praying over the last six months during our ‘pruning’ and pathway to ‘yielding more fruit’ as our family looks for another job. I am humbled, grateful, and in awe of God’s love for me, Greg and our children. I am amazed that all I need to simply do is ask and God will provide and provide in ways immensely beyond anything I could imagine. After praying continually for the past five months regarding Greg’s next job, caring for our family, allowing us to stay til the end of the school year and to finish out my opportunities at the studio and the competitive teams, God has answered all. Now, here are my specific prayers for this month, August, 2002, to always remind me of how good God is to me. That’s it. We are praying for a 1,2,3 miracle! 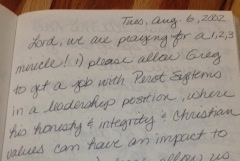 1) please allow Greg to get a job with Perot Systems in a leadership position, where his honesty and integrity and Christian values can have an impact to multitudes; 2) please allow us to purchase the house; and 3) allow us to transfer the kids to McKinney schools by Aug. 18. Lord, please tell me how to pray this specifically for a miracle while still allowing and understanding Your will and plan. Yeah, God!! I have been praying to be more connected to You and yearning for your Holy Spirit and the next day, there You are! Thank you so much. I have continually clung to this verse during this time. Now, today, during my Bible study, and time with You, Lord, am thumbing through God’s Promises, the book given to me by Valerie (Lord, I pray that I may one day be able to thank her for that book and tell her how much I continually refer to it), I looked in the index under ‘waiting on God,’ and there in that section was Habakkuk 2:2-3! I have been reading that over and over again and now You lead me right back there again! Now, I’ve read Greg’s Leadership Bible’s version of these verses and they say that the entire book of Habakkuk is about leadership. Oh, thank You, Lord Jesus, for answering prayers. I have prayed many times before to be taught to be a good leader as a mother and teacher. And Greg, of course has prayed the same for home and his career. I can see through following Your Word and praying daily that You are preparing us for something Big! Thank You, Lord! Thank You for Your Abundance even before we know what it is!! My heart, my passions, my angst and praise to and with my Father since 1983.